“I can live with it. Some of the boys, in spite of them not being the man that is hunted, they are not coping well with it,” Mourinho, said. “I’m amazed by that response singing my name. I don’t want that, and if I could tell them to not do it I would, because it is not about me, it is about the football club they love and the football club we represent with honour and dignity. Three goals in a thrilling final 20 minutes earned the former Real Madrid manager a 400th victory of his managerial career, but with his side languishing eighth in the Premier league that landmark will go largely unnoticed. 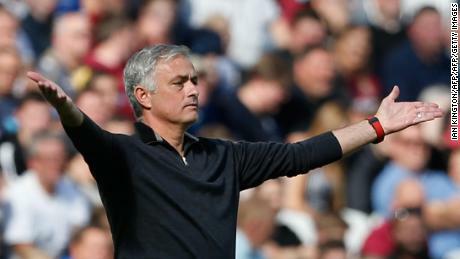 And after enduring a difficult start to the season, Mourinho pointed to Italian side AC Milan to provide context for his side’s recent poor form. “In the biggest clubs in the world there are periods with a lot of meat and periods with a lot of bones,” said the Portuguese. “If you look to history of AC Milan you don’t think it is normal that they are where they are. “These football clubs, they are not made only of just victories and just difficult moments, but always with pride. Not just victories, always pride. Fitness Tips for Men above 50!